In an apparent bid to kick-start the long-stalled Keystone XL oil pipeline, U.S. President Donald Trump on Friday issued a new presidential permit for the project, two years after he first approved it and more than a decade after it was first proposed. 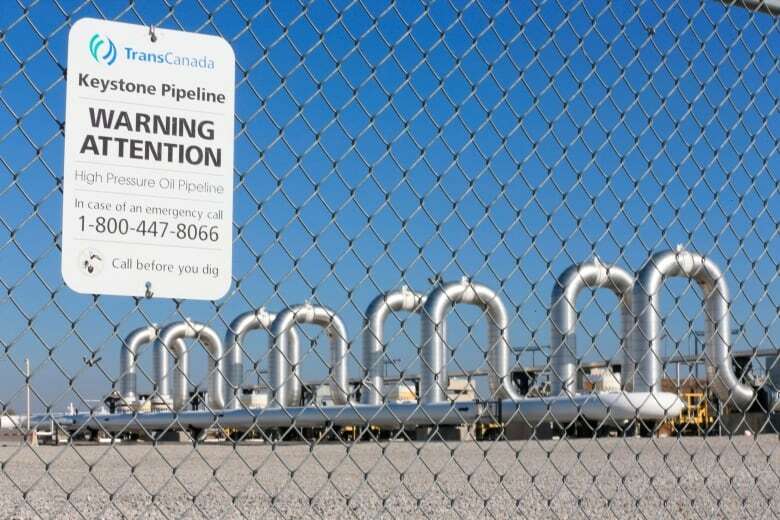 An appeal filed by the project’s developer, Calgary-based TransCanada, is pending. Keystone XL will create thousands of jobs and deliver crude oil to U.S. refineries “in the safest, most efficient and environmentally sound way,” the company said. But project opponents said the White House order would not have an immediate impact. Stephan Volker, an attorney for environmentalists who sued to stop the project, said he had not yet reviewed Trump’s permit declaration but could not foresee any action that would allow work on the pipeline to proceed without court approval. “It would be highly unlikely that any court would allow an end-run on its well-considered injunction that’s been affirmed by the Ninth Circuit [Court of Appeals]. The likelihood of that is virtually non-existent,” Volker said. 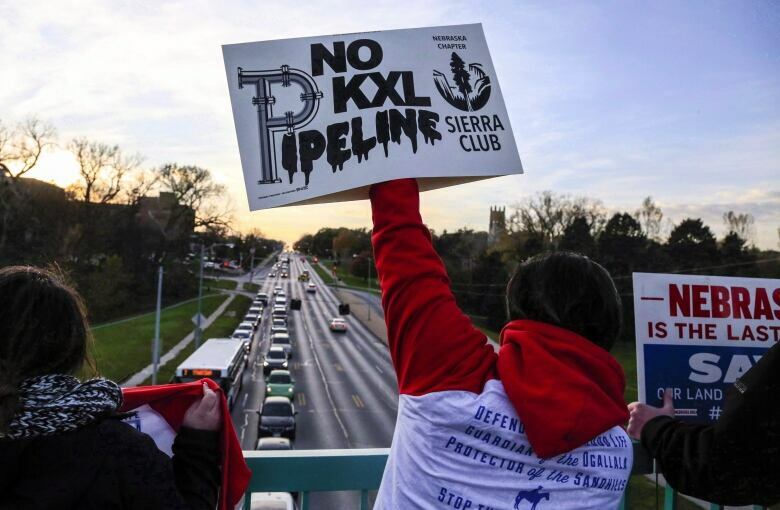 The Keystone XL, first proposed in 2008 under President George W. Bush, would begin in Alberta and go to Nebraska, where it would join with an existing pipeline to shuttle more than 800,000 barrels a day of crude to terminals on the Gulf Coast. After years of delay, President Barack Obama rejected the project in 2015. Trump reversed that decision soon after taking office in 2017, saying the $8 billion US project would boost American energy and create jobs. A presidential permit is needed because the project crosses a U.S. border. Two feeder plants for the Windsor Assembly Plant are waiting to find out what will happen once Fiat Chrysler Automobiles cancels the third shift on Sept. 30, 2019. FCA announced its decision to indefinitely terminate the third shift Thursday afternoon. There are approximately 1,500 people who will be out of work as of September. 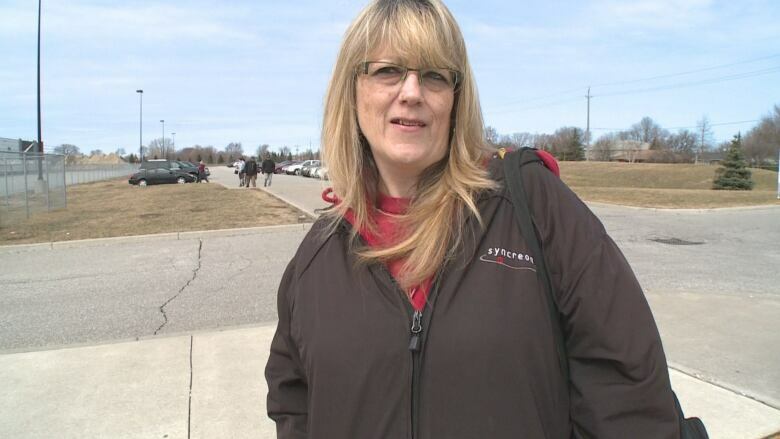 At Syncreon Automotive in Windsor, a sequencing (warehousing) facility, and Flex-n-Gate in Lakeshore, which makes Pacifica parts, it’s not clear how many jobs will be affected. However, one worker worries it could be hundreds at his plant. Bill Carathanasis, who has worked at Syncreon for three and a half years as a forklift driver, said layoffs are inevitable. Unifor Local 195 represents workers at both feeder plants. “We have no clear number at this point. But we will continue working … with Syncreon [and] Flex group to come up with additional measures to protect our members,” said Emile Nabbout, second vice president of Local 195. He said about 480 members at Syncreon are represented by the union, and just under that at Flex-n-Gate. 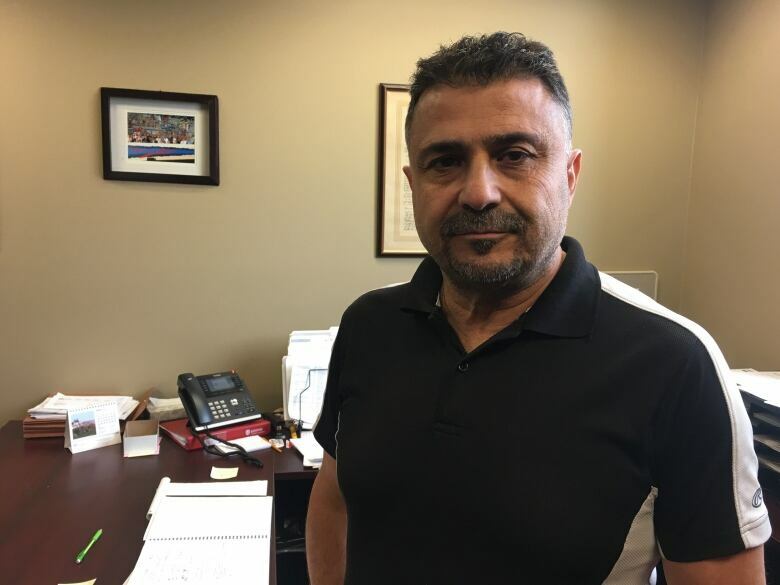 Flavio Volpe, president of Automotive Parts Manufacturers Association, said while it’s surprising that 1,500 WAP workers will be losing their jobs, this situation isn’t equivalent to what is happening with GM in Oshawa, where the company is closing its assembly plant entirely. FCA isn’t shutting down a plant, or pulling out a product, according to Volpe, and eliminating a shift is part of the planning and replanning of a business. “This is how one specific company in one plant has decided to reconfigure how it produces that product in response to a current market demand. It is not a harbinger of things to come,” said Volpe. Year-to-date sales reported by FCA in February 2019 showed a 55 per cent decline compared to last year. In a news conference on Friday, Minister of Innovation and Economic Development Navdeep Bains talked about the federal rebate program which will offer $5,000 for buyers of some zero-emission vehicles — including the Pacifica Hybrid. Initially, it was believed that the vehicle would not qualify for the program due to its base price being above $45,000, but Bains told reporters Friday that was not the case. Bains also pointed to how the Ontario PCs need to step up, referring to the cancelled Electric and Hydrogen Vehicle Incentive Program, which offered a $14,000 incentive to Pacifica buyers. Close to 1,000 people at the feeder plants are holding their breath to learn what will happen to their job. Sandy Gammon has worked at Syncreon for 17 years. Her seniority will likely mean she can keep her job, but she said a lot of friends might become unemployed. “It’s actually traumatising to most of us. A lot of our workers may lose their jobs.” she said. Neither side gave any details on whether the talks made progress on issues preventing them from reaching an agreement to end a wide-ranging dispute over technology and industrial policy between the world’s two biggest economies. “I look forward to welcoming China’s Vice Premier Liu He to continue these important discussions in Washington next week,” he said. U.S. President Donald Trump expressed optimism about the talks last week, saying, “we’re getting very close.” Lighthizer said earlier this week that questions about details and enforcement remained to be answered. “Both teams are currently sparing no effort” on the negotiations, Chinese commerce ministry spokesman Gao Feng said during a regularly scheduled briefing on Thursday. A stumbling block appears to be Washington’s insistence on an enforcement mechanism with penalties if Beijing fails to follow through on commitments. But trade analysts expect at least a preliminary accord in coming weeks or months. The negotiations are unlikely to resolve conflicts that have troubled U.S.-Chinese relations for two decades, including China’s massive trade surplus with the U.S. and accusations it has stolen or coerced the transfer of foreign technology for its own use. Trump raised duties last year on Chinese imports in response to companies’ complaints over such issues. Last week, he said he wants to keep in place the 25 per cent taxes on $50 billion US of Chinese goods that he imposed in July. Washington followed those with 10 per cent duties on an additional $200 billion. All told, the U.S. tariffs covered roughly half of what the U.S. buys from China. Beijing is not “in the biggest hurry” so long as Washington delays imposing additional tariffs, said Bryan Mercurio, a trade law specialist at the Chinese University of Hong Kong. Moving to fulfil a promise to allow full foreign ownership of banks, insurance companies and other financial businesses that have been dominated by Chinese institutions, regulators have approved American bank J.P. Morgan’s application to set up a majority-controlled securities firm, the company said Friday. Lyft had little trouble getting investors to hop on board its increasingly popular ride-hailing service, as its initial public offering fetched a $72 US per-share price that exceeded even its own expectations. The price sets Lyft’s market value at $24 billion, though the San Francisco company still hasn’t turned a profit since co-founders Logan Green and John Zimmer started the service in 2012. Around midday it was changing hands at $87 a share, up 20 per cent from the IPO price of $72. It marks the first time that most people who have used their smartphone to summon a car dispatched by Lyft or its bigger rival, Uber, will have a chance to make a bet on whether the ride-hailing phenomenon will continue to transform transportation and eventually become a major money maker. The institutional investors that bought into the IPO clearly think so, enabling Lyft to demand a price that was above its initial goal of $62 to $68 per share. Uber is expected to go public later this spring. Canada’s economy grew by 0.3 per cent in January, fully offsetting the small declines in the previous two months. Statistics Canada reported Friday that 18 of 20 industries the data agency tracks got bigger. Goods-producing industries grew by 0.6 per cent while the service sector eked out a 0.2 per cent gain. Economists had been expecting a slight gain of about 0.1 per cent, according to Bloomberg estimates. Manufacturing grew by 1.5 per cent, also more than offsetting declines in November and December. After shrinking for seven months in a row, the construction sector expanded by 1.9 per cent during the month — the biggest monthly expansion since the summer of 2013. “It was nice to see construction turn in a positive performance after more than half a year in decline,” economist Brian DePratto with TD Bank said. Finance and insurance grew by 0.4 per cent, while retail was flat. One source of weakness was the mining, quarrying, and oil and gas sector, which was down for the fifth consecutive month in January, contracting 3.1 per cent. Outside of energy, the only industry that shrank was accommodation and food services, which contracted by 0.5 per cent during the month. Scotiabank economist Derek Holt said the weakness in oil was certainly significant, but he was encouraged by strength just about everywhere else. “There is more to the economy in the Great White North than just oil and that’s the exclamation point attached to this growth reading,” Holt said. DePratto was also encouraged by the breadth of the gains in just about every sector. The Canadian benchmark index is resource industry-heavy, and has a higher prevalence of smaller organizations, relative to the U.S., she added. The latest data gathered from Canadian securities regulators shows that among the 648 issuers, 15 per cent of board seats were held by women, up from 11 per cent four years earlier. However, corporate Canada’s journey is not yet complete, as most publicly traded companies fall short of the important minimum 30 per cent threshold that constitutes critical mass, she wrote. In 2011, female representation on boards at U.S. companies on the S&P 500 index outpaced that of Canadian firms on the S&P TSX in eight out of 10 industries, and often by a large margin. The 2018 data, however, demonstrates that the “tables are turning,” as Canada now outperforms the U.S. board gender representation in seven of those same 10 industries. Canadian companies have usurped their U.S. counterparts on the benchmark index in health care, consumer staples, financials, telecom, utilities, industrials and information technology. The TSX is more resource-heavy and has a higher prevalence of smaller companies than the S&P 500, they add. Small-sized resource firms capture 30 per cent of all board seats in the S&P/TSX, compared to just 12.5 per cent in the U.S. benchmark index, Caranci and Preston said. “That would only entail about 206 women … that’s not a large amount, that’s feasible,” she said. Canada is considering new ways to retaliate against the United States in hope of getting steel and aluminum tariffs lifted. A senior source with direct knowledge of the situation says Canada is considering launching consultations on whether it should increase its retaliatory tariffs. Last June, the Trump administration introduced 25 per cent tariffs on imported steel and 10 per cent tariffs on imported aluminum. Prime Minister Justin Trudeau and Foreign Affairs Minister Chrystia Freeland have both called the move illegal and unjust, and introduced $16.6-billion in retaliatory tariffs targeting everything from maple syrup in Maine to Bourbon in Kentucky. Canada has aggressively lobbied the White House, as well as anyone who has influence with U.S. President Donald Trump in the hopes of getting the tariffs lifted. But multiple sources say there has been little progress in that effort, and that Trump is quite pleased with himself and his tariffs. When Canada first retaliated, the government described the counter-measures as “dollar-for-dollar” when compared to the U.S. tariffs. But the source says the dollar value actual falls significantly short of that threshold. A second source said the reason the Canadian tariffs are not actually dollar-for-dollar is that some importers have been granted exclusions through the remittance process. The consultations Canada is considering would look at how to increase retaliatory tariffs to actually meet the dollar-for-dollar mark. “We will obviously look for items that will hurt Canadians the least,” the senior source said. If Canada does look at increasing retaliatory tariffs, it would target products for which Canadians have other purchasing choices. The idea is up for discussion “given the intransigence of the U.S.” the senior source added. When Trump first introduced the tariffs, the move was widely seen as a NAFTA negotiating tactic. And it was expected that once a new trade agreement was reached, the White House would lift the tariffs. But the U.S. has not changed its policy. Trudeau has been criticized by the opposition for signing the agreement before getting the tariffs removed. Britain publicly chastised China’s Huawei Technologies for failing to fix long-standing security flaws in its mobile network equipment and revealed new “significant technical issues,” increasing pressure on the company as it battles Western allegations that Beijing could use its gear for spying. The unusually direct criticism is a fresh blow to the world’s largest maker of mobile network equipment, which has been under intense scrutiny in recent months. Officials in the United States and elsewhere have been increasingly public in voicing concerns that Huawei’s equipment could be used by Beijing for spying or sabotage, particularly as operators move to the next generation of mobile networks, known as 5G. Huawei pledged last year to spend more than $2.7 billion ($2 billion US) as part of efforts to address problems previously identified by Britain, but has also warned it could take up to five years to see results. “NCSC (National Cyber Security Centre) does not believe that the defects identified are a result of state interference,” it added. 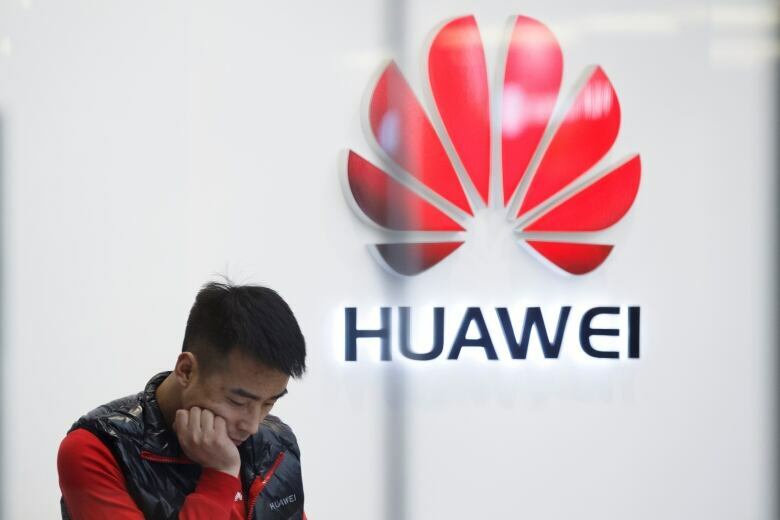 “The evidence of sustained change is especially important as similar strongly worded commitments from Huawei in the past have not brought about any discernible improvements,” it said. 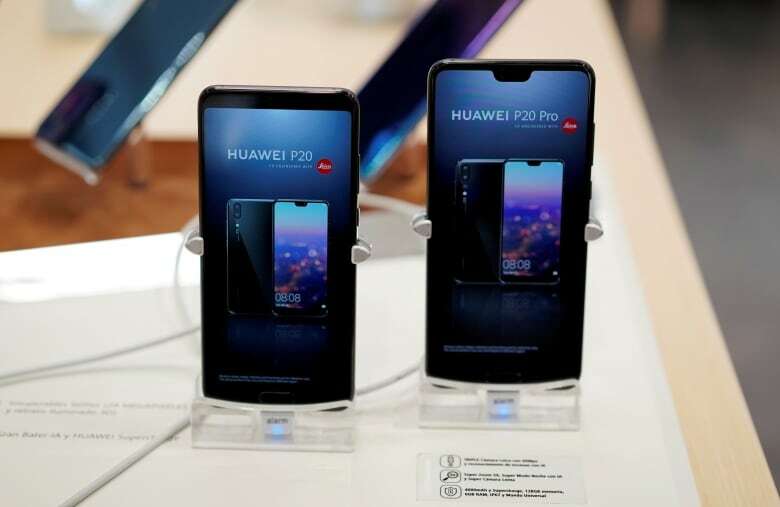 The 40-plus-page report identified several new technical issues with Huawei equipment and revealed that the problems were at a greater scale than previously publicly acknowledged. These include concerns related to a product called eNodeB, which provides a connection between the network and a user’s mobile phone. The report also said the lab had reported to UK operators “several hundred vulnerabilities and issues” during 2018. And, as a result, the board could still only provide limited assurances that the security risks posed by Huawei equipment could be managed long term. “These complex investigations can take months or years to complete and I’m encouraged and very pleased with the search warrants that were executed this morning,” said National Revenue Minister Diane Lebouthillier in a written statement. In 2016, the CRA went to court in the wake of the Panama Papers leak to compel the Royal Bank to hand over decades worth of records on clients with offshore companies. It is not clear whether today’s investigation is related to that. Citing confidentiality rules under the Income Tax Act, the agency would not comment further on the status of today’s investigation, provide details on the exact location of the searches or reveal where the non-resident man in question is from.